Although South Korea is a relatively tiny country, each region has its own distinct cuisine inspired by geography and historical trade relationships. While you may have already encountered some of Korea’s spicier and more ubiquitous foods, such as kimchi or barbecue meat, traditional cuisine in Gangwon is plain, surprisingly familiar…and won’t set your mouth on fire. POTATOES: You can start exploring the region’s food by simply swapping out french fries for a fried potato pancake (“gamja-jeon”), which is similar to a hashbrown. Korea is not historically a tuber culture. A German missionary named Karl Gutzlaff is often credited as having introduced potatoes (“gamja” in Korean) through Gangwon Province in the 1830’s. They are now a regional staple. Feeling braver than a simple potato pancake? Try a piping hot bowl of potato dumpling soup (“gamja ongshimi”). Potato flour is mixed with freshly grated and squeezed potatoes to form little dough-like balls that are added to a light, clear anchovy-vegetable broth seasoned with seaweed, shiitake mushrooms, and peppers. Simple but satisfying on a cold winter day! STUFFED SQUID: Ready to challenge yourself to a more adventurous taste? Stuffed squid (“ojinga soondae”) is regional cuisine that is rare to find outside of Gangwon Province. Since you are here, give it a go. “Soondae” in Korean loosely translates to sausage. Instead of a sausage casing (or, authentically, a cow or pig’s intestine), a squid’s soft body is hollowed out to form a clean tube, which is then stuffed with a mild-flavored mixture of seasoned tofu, minced mushrooms, diced tentacles, glass rice noodles and garlic. The dish is steamed, sliced into chewy rolls, and served with a vinegary red pepper paste dipping sauce. BUCKWHEAT: Buckwheat (“mae-mil”) is another staple ingredient of Gangwon cuisine. The seeds are ground into flour to make noodles, which you’ll find in chilled buckwheat noodle soup (“mak-kuk-su”). 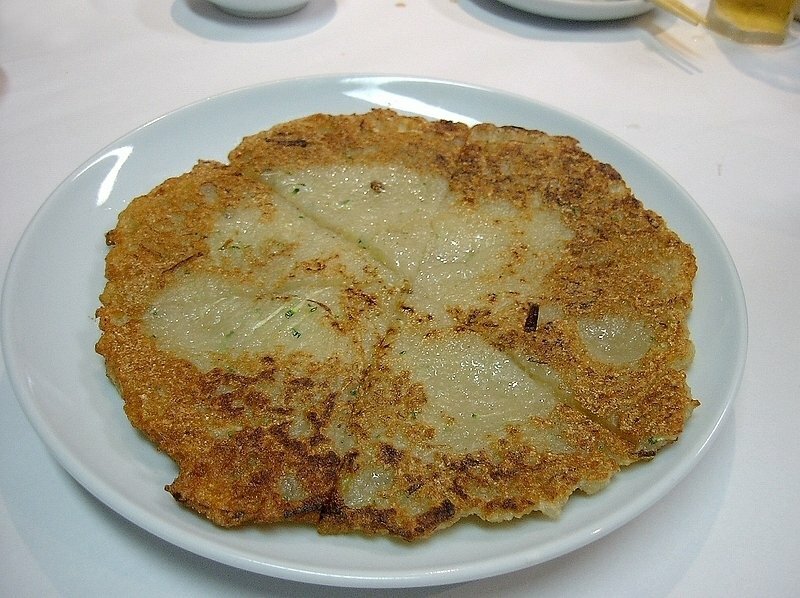 For something warmer in the depth of winter, try a buckwheat pancake (“mae-mil-jon-byong”), which is similar to a crepe. The thin, delicate crepe may be filled with a sweet red bean filling or a heartier mixture of mild kimchi, tofu, and perhaps some ground beef. TOFU: But if you only try one food item from Gangwon, then make it Chodang tofu. Yes, I hear you: “Tofu is tasteless!” Commercial tofu often uses artificial additives to curdle soy milk and it's rather texture-less. In Gangwon Province, however, the tofu is all-natural, made with locally-grown soybeans and water from the East Sea. Rich in taste and texture, people queue in long lines for a bowl of white Chodang tofu stew (“soon-dubu jiggae”)…and so should you! Where to Eat: Ask any local where their favorite restaurant is for any of the foods mentioned here. Korean restaurants tend to specialize in a particular ingredient or dish and the locals will know which restaurants excel. Chodang tofu restaurants are clustered in Chodang Village, just 10 minutes by taxi from Gangneung Ice Arena.